It is extremely present in Mediterranean cuisine and it is considered to be a very nutritious plant. Before we bake it on a pizza, it is baked in oven with parsley and olive oil thus getting the necessary softness. One of the most used types of edible mushrooms, definitely ideal on pizza. Thanking to its mild flavour, it fits excellently with all topping combinations. 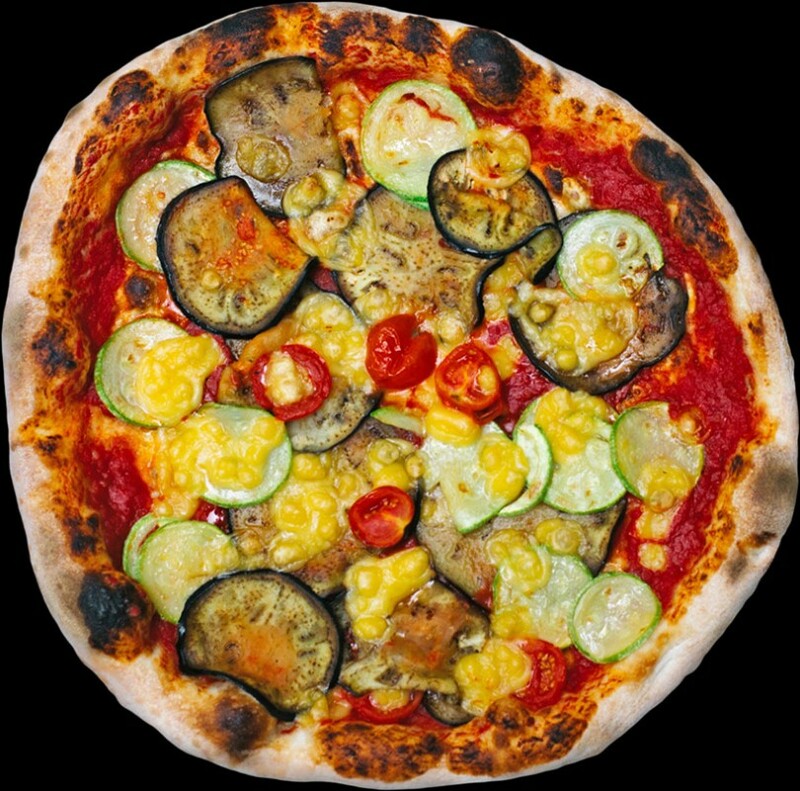 It is separately prepared with other vegetables and olive oil thus giving additional freshness to pizza. Vegan plant cheese, without casein and dairy proteins. We combine standard and smoked one on pizzas.